Following six sell-out years, A Vintage New Year's Eve Party is back. The huge party sees the Royal Festival Hall transformed into five floors of set-dressed entertainment including seven pop-up vintage nightclubs, stylish dining, a hair and beauty salon, photo studios and a private terrace overlooking London's world-famous New Year's Eve fireworks. 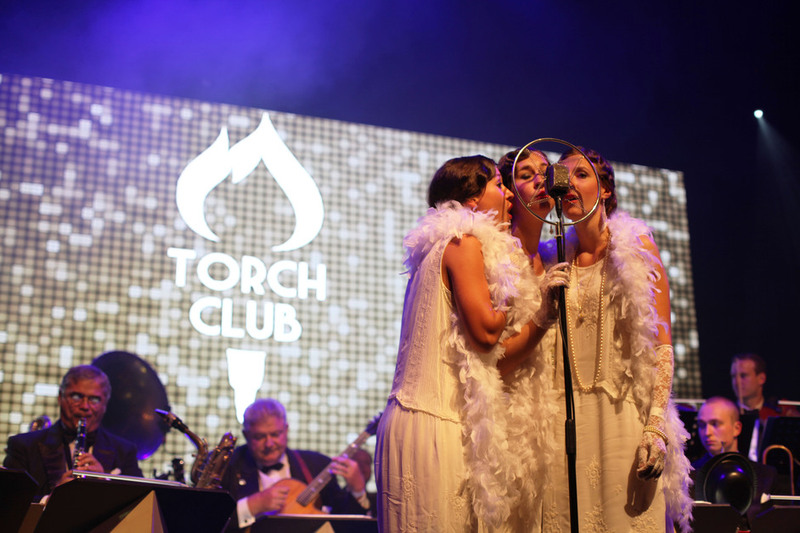 Entertainment will come from The Torch Club, celebrating the '20's, '30's and '40's big band sound; The Jive Romeros, Britain's kings of bepop, rock and roll, jive and swing; and Six Million Steps, offering pure '70s and '80s disco. The Tiki Bar serves colourful cocktails and samba and after midnight the Clore Ballroom transforms into an intimate cabaret club. With disco dancing, musical bingo and karaoke thrown in for good measure, it's a hell of a way to see in 2019. What are the best dining options near A Vintage New Year's Eve Party London? A Vintage New Year's Eve Party gyms, sporting activities, health & beauty and fitness. The best pubs near London A Vintage New Year's Eve Party. A Vintage New Year's Eve Party clubs, bars, cabaret nights, casinos and interesting nightlife. Where to have your meeting, conference, exhibition, private dining or training course near A Vintage New Year's Eve Party. From cheap budget hotels to luxury 5 star suites see our special offers for Southbank Centre: Royal Festival Hall hotels, including Park Plaza County Hall Hotel London from 88% off.